The fruits of summer never tasted as sweet as they do with tayberry jam. 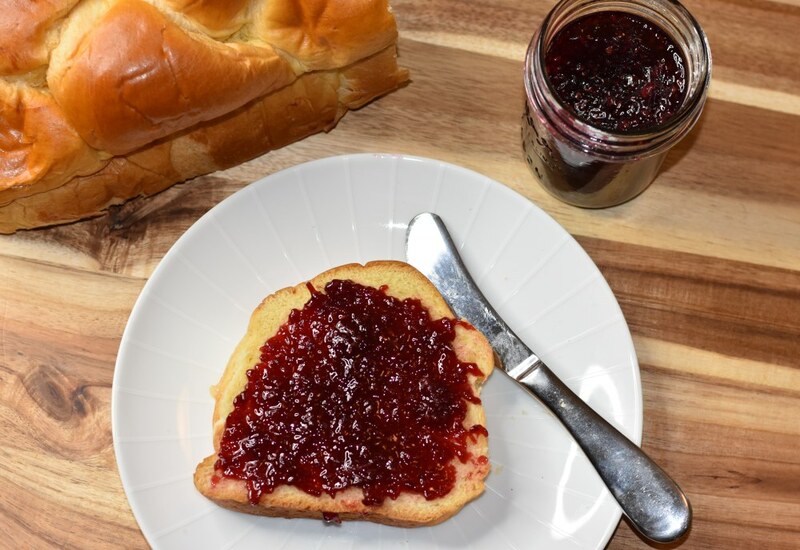 Fresh tayberries, sugar, and lemon juice are all you need to make this delicious jam, the perfect accompaniment to your breakfast. Tayberries are a cross between raspberries and blackberries. They have a sweet-tart flavor and are great for making jam since they have a high pectin level. Per Serving: 47 calories; 0g fat; 12.0g carbohydrates; 0g protein; 0mg cholesterol; 0mg sodium. Jam season is my favorite - preserving my berry bounty up here in the Pacific Northwest always leaves me feeling so happy. Tayberries are a bit shorter in season, starting around the end of June and through July, but if you can get them they are so worth it. To add a little more pizzazz to the recipe I sometimes add lemon zest. My mom used to make me tayberry jam all the time, so I was excited to surprise her with this recipe. She even agreed that it was one of the best she's ever tasted. I love the sweetness and tartness, really good. It also makes a great novel gift!